A heart-stopping adventure defying time and space that New York Times bestselling author Marie Lu calls "an incredibly intricate, brilliantly paced, masterfully written journey." Time flies when you're plundering history. Farway Gaius McCarthy was born outside of time. The son of a time traveler from 2354 AD and a gladiator living in ancient Rome, Far's very existence defies the laws of nature. All he's ever wanted was to explore history for himself, but after failing his entrance exam into the government program, Far will have to settle for a position on the black market--captaining a time-traveling crew to steal valuables from the past. During a routine heist on the sinking Titanic, Far meets a mysterious girl named Eliot who always seems to be one step ahead of him. Eliot has secrets--big ones--that will affect Far's life from beginning to end. Armed with the knowledge that history is not as steady as it seems, she will lead Far and his team on a race through time to set things right before the clock runs out. Ryan Graudin was born in Charleston, SC with a severe case of wanderlust. When she's not traveling, she's busy photographing weddings, writing, and spending time with her husband and wolf-dog. She is the author of The Walled City, Wolf by Wolf, Blood for Blood, and Invictus. You can visit her online at ryangraudin.com. * "Snarky banter, a clever setup, and a diverse and well-drawn cast elevate this rollicking, bombshell-laden adventure. Graudin's intricate worldbuilding brings the distant past and far future to vivid life. Readers who like their science fiction shot through with humor will be enthralled." "A madcap, vivid time-travel tale with a strong ensemble, both indebted and cheekily alluding to Doctor Who and Firefly." "Invictus gripped my heart. 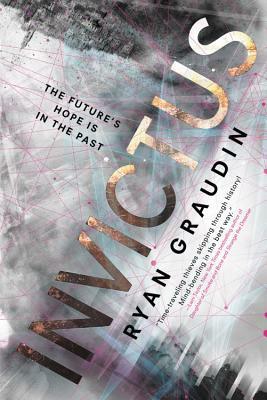 Graudin's achingly beautiful prose and thoughtful exploration of time, history, and identity create a stunning story. I couldn't turn the pages fast enough, and yet I wanted to savor each decadent sentence. Readers be warned, you'll want to stop time to live in this tale."